HTC Explorer is a popular bar shaped affordable android smartphone with a 3.2″capacitive touch screen, powered by a 600MHz processor with 512MB RAM. The phone runs on Android 2.3 Gingerbread OS and is reasonably small and easy to carry weighing in at just 108 grams. The phone is available in several color choices like Metallic Black, Metallic Navy, Active Black, Active Navy. The phone comes with a 3.15 MP camera with cool new features such as geo-tagging and face detection.You cam also shoot videos at 480p resolution as well with its 3.15 MP camera. Htc Explorer supports playback of popular audio formats such as MP3, eAAC+, WAV and WMA and video formats such as XviD, MP4, H.264, H.263 and WMV. HTC Explorer runs on quad band 2G networks as well as dual band 3G networks. You can always stay connected to the internet using connectivity options such as GPRS, EDGE and Wi-Fi. The phone also has Bluetooth 3.0 and micro USB v2.1 for file transfer through pc or laptop. 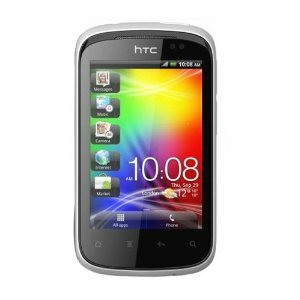 Htc Explorer provides you with ample talk time of up to 7 h 40 min with its 1230 mAh standard Li-ion battery. The phone has 90MB internal memory and also supports external microsd cards up to 32GB.